We’d love your help. Let us know what’s wrong with this preview of Chicago Poems by Carl Sandburg. Chicago Poems (1916) was Carl Sandburg's first published book of verse. Written in the poet's unique, personal idiom, these poems embody a soulfulness, lyric grace and a love of and compassion for the common man that earned Sandburg a reputation as a "poet of the people." 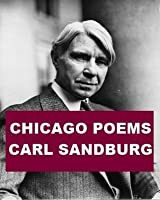 Among the dozens of poems in this collection are such well-known verses as "Chicago," "Fog," "To a Cont Chicago Poems (1916) was Carl Sandburg's first published book of verse. Written in the poet's unique, personal idiom, these poems embody a soulfulness, lyric grace and a love of and compassion for the common man that earned Sandburg a reputation as a "poet of the people." Among the dozens of poems in this collection are such well-known verses as "Chicago," "Fog," "To a Contemporary Bunkshooter," "Who Am I?" and "Under the Harvest Moon," as well as numerous others on themes of war, immigrant life, death, love, loneliness and the beauty of nature. These early poems reveal the simplicity of style, honesty and vision that characterized all of Sandburg's work and earned him enormous popularity in the 1920s and 30s and a Pulitzer Prize in 1951. To ask other readers questions about Chicago Poems, please sign up. Maybe the words are not so flattering, but he meant them. He wrote them with respect and with love. Sandburg would write other volumes of poetry, and more as well. He won three Pulitzer Prize awards; two for poetry and one for his biography of Abraham Lincoln. Well, by far on of the greatest collections ever of one of the greatest American poets. I really love it, not only because I live in Chicago. This city is scary and supreme. quietly upon the marble waves. licking the rind of the imposing trees. as the Sears tower pierces t Well, by far on of the greatest collections ever of one of the greatest American poets. I really love it, not only because I live in Chicago. as the Sears tower pierces the alabaster sky. Carl Sandburg was writing his dreams. his way with the shotgun. and knives leading to oblivion. God did not give His permission to each and every scrivener. which absurd will the poet pick and choose? This city will take care of it! skipping rope with the words forming in her head. Now, the slam joints are full of screaming typesetters. This is your place under the sun. City of destiny! Highly recommended and most enjoyable. The format for the Kindle version is a bit odd in spots but not hard to overcome. Great poems about Chicago and some other topics as well. Sandburg described quite starkly and poignantly the faces tired of wishes, empty of dreams. Over Christmas, while visiting family in Indianapolis, I stopped in Half-Price Books. I’d already planned to get this year’s books from the library, but I hadn’t arranged for one before leaving town, and I wanted to make sure I had something in hand from my reading list to get started with. I found a hardcover copy of “Seinfeldia.” It was early in the day — I had hours to kill before dinner with two of my sisters — and I settled down in front of the Classics and Poetry section. My mind was hunge Over Christmas, while visiting family in Indianapolis, I stopped in Half-Price Books. I’d already planned to get this year’s books from the library, but I hadn’t arranged for one before leaving town, and I wanted to make sure I had something in hand from my reading list to get started with. I found a hardcover copy of “Seinfeldia.” It was early in the day — I had hours to kill before dinner with two of my sisters — and I settled down in front of the Classics and Poetry section. My mind was hungering for something. There it was: “The Complete Poems of Carl Sandburg.” It hit me like a bolt out of the blue. I snatched it from the shelf, sat on the floor, and immediately got lost in “Chicago,” “Masses,” “They Will Say,” “The Shovel Man,” “A Teamster’s Farewell,” “Muckers” … I left the book on the shelf (I should have purchased it), added “Chicago Poems” to my reading list, and, when I’d returned home after the holidays, found a copy in my local library. Tries to do for Chicago as Whitman did for America. Top tips: Skyscraper & At a Window. I read this from my Kindle, which was great, but today, Joce and I went to the library to get the real thing. I suspected the format of the poetry was messed up in electronic format, and I wanted to know for myself and the kids what the poems looked like in their pristine forms. The librarian offered to help us and said she remembers reading Sandburg in school when she was a kid, which was probably forty or so years ago. She mentioned remembering "the fog coming in on little cat feet." Both Joce I read this from my Kindle, which was great, but today, Joce and I went to the library to get the real thing. I suspected the format of the poetry was messed up in electronic format, and I wanted to know for myself and the kids what the poems looked like in their pristine forms. The librarian offered to help us and said she remembers reading Sandburg in school when she was a kid, which was probably forty or so years ago. She mentioned remembering "the fog coming in on little cat feet." Both Joce and I instantly knew exactly what poem (Fog) she was talking about. I find shared moments like this both miraculous and heartening. Listing my favorite poems of his is silly, because they are all good, but I'm going to list anyway because it will help me remember certain details further down the road. So here goes. It will be a several more weeks before we all get to see Chicago again. I love this time of year, but miss our frequent trips into the city very much. I turned to Sandburg's poetry to stave off my cabin fever. It seems to have worked, at least for now. Chicago is the most American of cities, and Sandburg is among the most American of poets. His strong, oily, rough, brittle, acrid, hilarious, roughneck, tender odes to Chi-town are celebrations, indictments, and love-letters. Whitman may have invented free verse, but writers like Sandburg perfected it. These poems would lose their impact written in any other form. 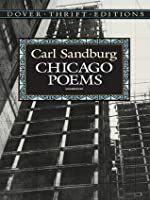 Here's the essence of Sandburg's genius: he writes tough and manly songs without sacrificing the true poetic element, and he sings the Chicago is the most American of cities, and Sandburg is among the most American of poets. His strong, oily, rough, brittle, acrid, hilarious, roughneck, tender odes to Chi-town are celebrations, indictments, and love-letters. Here's the essence of Sandburg's genius: he writes tough and manly songs without sacrificing the true poetic element, and he sings the praise of unlovely things in language at once appropriate and jarring. Who knew steel was so breathtaking before Sandburg eulogized it? This is a paradigmatic work. I used to write poetry like this in college. Thankfully, I no longer do. As poetry goes, it's not very good. But in a time when we have Republicans cutting food stamps and Headstart while sucking up to the rich, Carl Sandburg is a breath of fresh air. Under the stars on the prairie watching the Dipper I used to write poetry like this in college. Thankfully, I no longer do. As poetry goes, it's not very good. But in a time when we have Republicans cutting food stamps and Headstart while sucking up to the rich, Carl Sandburg is a breath of fresh air. For "Chicago Poems" I guess I was expecting something more. The definition of this "City of Big Shoulders" and a mythology one could cling to, the way New Yorkers define themselves against the rest of the world. Carl Sandburg was the namesake for the junior high school I attended, in a suburb of Chicago. There were two other middle schools in that suburb, one *almost* named after a famous English statesman (Winston Churchill; Churchville's close, right?) and the other after... god knows whom (may For "Chicago Poems" I guess I was expecting something more. The definition of this "City of Big Shoulders" and a mythology one could cling to, the way New Yorkers define themselves against the rest of the world. Carl Sandburg was the namesake for the junior high school I attended, in a suburb of Chicago. There were two other middle schools in that suburb, one *almost* named after a famous English statesman (Winston Churchill; Churchville's close, right?) and the other after... god knows whom (maybe William Jennings Bryan, the infamous lawyer in the Scopes Monkey Trial?). I just looked up my old school, and it's got a website. Mrs. Beck is still teaching 7th grade social studies, but it looks like all the other names have changed. Mrs. Goodman, my favorite teacher ever, has passed on; I heard the news several years ago from a friend. It surprised me, but then again, our teachers--like ourselves--cannot live forever. I had hoped she would see my success one day. That I could write and tell her I'd finally made it, the way she thought I would. Alas, I cannot. The Dover books are always so great: a cursory look at Sandburg's poetry, perhaps best represented here by the title run and his other urban, half-nightmare creations. I consider him one of the most important American poets ever and it's a shame that he seems to have fallen by the wayside over the last few decades. America embodied in dark lyricism. If "The Wire" was a poet, it'd be someone like Carl Sandburg. Recommends it for: poetry readers. This collection put Sandburg on the map as a literary figure. It opens with one of his most famous poems “Chicago” (i.e. “HOG Butcher for the World, Tool Maker, Stacker of Wheat…”) and – as the title suggests – the windy city is a recurring theme throughout the collection, and not just within the first of seven parts of the volume, which is eponymously named. Sandburg takes on the gritty and the glorious of Chicago. The collection includes about 140 poems of various lengths and styles. The first This collection put Sandburg on the map as a literary figure. It opens with one of his most famous poems “Chicago” (i.e. “HOG Butcher for the World, Tool Maker, Stacker of Wheat…”) and – as the title suggests – the windy city is a recurring theme throughout the collection, and not just within the first of seven parts of the volume, which is eponymously named. Sandburg takes on the gritty and the glorious of Chicago. The collection includes about 140 poems of various lengths and styles. Those who are familiar with Chicago will recognize the frequent references to streets and neighborhoods, but one needn’t be a Chicagoan to benefit from reading this collection. At times, the collection presents an edge of angry protest as Sandburg rails against Chicago as a place that grew opulently wealthy in the making of the modern world, but in which so many struggle to survive. However, it’s not all grim. Sandburg also dotes admiringly on the magnificence of the city. In fact, the theme presented in “Chicago” – a defense of the mixed nature of the city – can be seen exploded across the collection. My high school English teacher brought in a phonograph one day so that we could hear Carl Sandburg and Robert Frost read their own poetry. That experience stuck with me. Chicago Poems, Carl Sandburg’s first collection of a hundred years ago, ser My high school English teacher brought in a phonograph one day so that we could hear Carl Sandburg and Robert Frost read their own poetry. That experience stuck with me. Chicago Poems, Carl Sandburg’s first collection of a hundred years ago, served as a refresher before seeing the play. Other memorable pieces in here include these: “Who Am I?,” about Truth. “Skyscraper,” about the men and women on these twenty floors who give the building a soul of dreams and memories. I've had this collection of Sandburg poems for at least 20 years, but I'm not sure I ever read it all the way through. Now that I live in the town Sandburg was born in (Galesburg, Illinois) my interest in Sandburg is a little higher. Like most collections of poetry, this one contains great poems, good poems, and okay poems. One thing that is not great about this edition is that no effort was made to keep one page poems on one page. They break across pages all over the place when they wouldn't hav I've had this collection of Sandburg poems for at least 20 years, but I'm not sure I ever read it all the way through. Now that I live in the town Sandburg was born in (Galesburg, Illinois) my interest in Sandburg is a little higher. Like most collections of poetry, this one contains great poems, good poems, and okay poems. One thing that is not great about this edition is that no effort was made to keep one page poems on one page. They break across pages all over the place when they wouldn't have needed to with a little thought. Here's a sad moving poem I don't remember reading before, or maybe when I was younger it didn't resonate with me as much. Carl Sandburg is a staple in Illinois (where I reside), and I thought it very appropriate for the committee in charge of the Read for a Lifetime Program to choose this short book of poems. In the volume, Sandburg describes more than just the city of Chicago -- he describes the people, their challenges, and their lives. Some are heartbreaking, and some just leave you stunned. The book is divided into sections, focusing on Chicago, war, the working class, and more. One of the poems that stuck with Carl Sandburg is a staple in Illinois (where I reside), and I thought it very appropriate for the committee in charge of the Read for a Lifetime Program to choose this short book of poems. Sandburg's Chicago Poems was originally published in 1916 and does have some very antiquated, stereotyped language. The poems in the main are about Chicago and do give a sense of the city and the people with in it. A mixture of critiques on government and society, besides musings about ordinary workers, the buildings, the docks, the sellers, the mob, and so on. Interesting, but quite dated in some parts. RFL 2018 I am not a big fan of poetry, so I did not find this short volume enjoyable. However, seeing as Sandburg is probably the most famous poet from Illinois and we live not far from Galesburg, it's an absolutely appropriate choice for this year's Read for a Lifetime List. I find his poems to be mostly depressing and also reflective of the racism and sexism of his time. I can appreciate his themes of disdain for the businessmen and government and his admiration of the working man. Overall I liked this book of poems. Who Am I was my favorite. Sandburg also really captures the experience of riding trains in the Midwest and also the contrast that any true Midwesterner feels existing between the city and the country. He understands the struggle of the modern worker. His war poems sort of bored me and some of his language usage I personally find offensive but the man is still obviously a master and knows the city of Chicago intimately. Some poems in this book are dated, but the rest are solid observation of not just the day to day life of Chicago and Chicagoland residents, but also observations of human nature in general that go beyond that part of the Midwest. I have now read 2 of Sandburg’s books, so I can check that off my bucket list of reading material. I only liked this one slightly more than Rootabaga Stories- mostly because I feel like I’m dealing with a sane author in this book :). Still not really enjoying the writing. Carl Sandburg was a master of poetry in the early 20th century. This collection is his love letter to Chicago. There is however a lot of racist language that I found intolerable, so readers should know that. These were delightful. I had no previous experience with Carl Sandburg, so I'm very glad I had the opportunity to pick this up. Loved a few of them, enjoyed most of them, only a handful left me really cold. This made me want to start memorizing a poem a week. Fabulous. I have lived in Chicago for 30 years. This collections of poems, even though it is 100 years old, captures the essence of Chicago and its neighborhoods better than an song, article, picture, or painting. It is little wonder Carl Sandburg is one of America's poets for the ages. Carl August Sandburg was an American writer and editor, best known for his poetry. He won two Pulitzer Prizes, one for his poetry and another for a biography of Abraham Lincoln. H. L. Mencken called Carl Sandburg "indubitably an American in every pulse-beat".